I love being challenged in a photo shoot. I love having to make fast adjustments – it keeps me on my toes. Back in 2003 I got my Private Pilot license. When I completed the test I was talking to my flight instructor about next steps and he asked me about my intentions. I said I had thought about trying to work for an airline for a while, and he told me not to. The travel is fun, the money (after getting some seniority) can be decent, the people are great, but… really, it’s not that different from being a bus driver. I don’t totally agree with that, but I saw what he was getting at – the monotony of the day-to-day. I’ve talked to many pilots since that day and they told me the same thing – that they go fly small planes for fun. Not because big planes aren’t, but because small planes make you think. More take-offs. More landings. Steeper turns. Practicing stalls. Making planes do what they can do, not just using them for transportation. Some photography is like that. Some photography is so consistent that I don’t need to think when I walk in to the venue – I set-up the camera and nail it. I’m happy, the client is happy, but where’s the challenge? 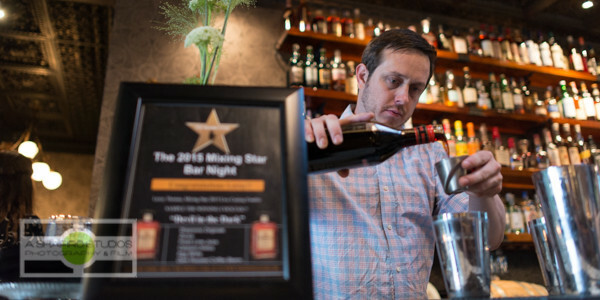 Enter the Disaronno Mixing Star Bar Night at Herb & Bitter on Capitol Hill. There were 2 big things that made this a challenging shoot. I usually don’t shoot less than 2 hours but I made an exception tonight. With 2 hours, or 3, or 8, or 4 days of 4-6 hours each, I’m able to spend some time getting the ‘safe’ photos, then get into some creative work. That just wasn’t an option tonight, because I only had an hour. It rains all the time in Seattle, right? Well, not really. We’ve gotten a ton of sun the last few … well, we didn’t really have a winter. Outdoor seating is well used when the weather is nice, and today nailed it. Great, except when I’m moving in and out, the bar and outside, bright and dark… every couple minutes. Combine these 2 things together and it was a very. fun. photo shoot. 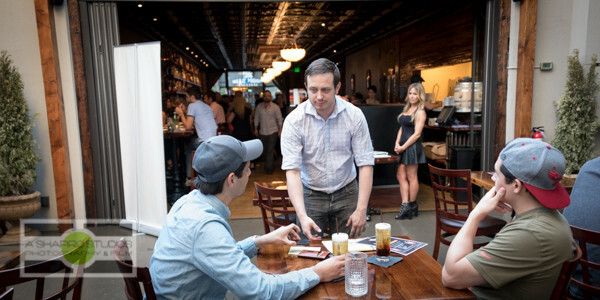 Leroy Thomas, a local bartender, had entered a competition with Disaronno. Tho he didn’t win the whole shebang, he was a finalist and tonight was a celebration of that. 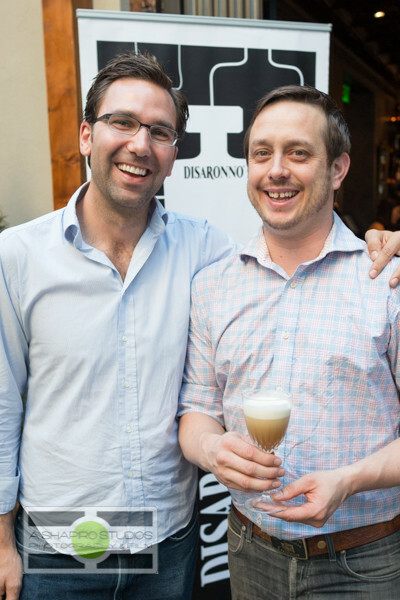 Guests were treated to the award-winning cocktail along with food and chat with the Western US Ambassador for Disaronno, Alex Room. 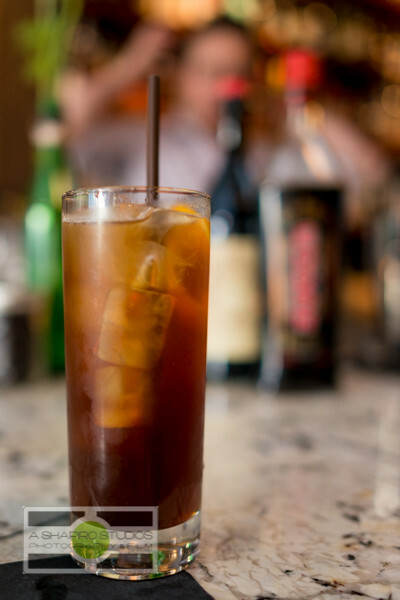 Of course, Leroy circled talking about his drink, too. Hopefully I get to continue to be challenged with both light and time constraints… but not too often. Sometimes it’s nice just being a bus driver. 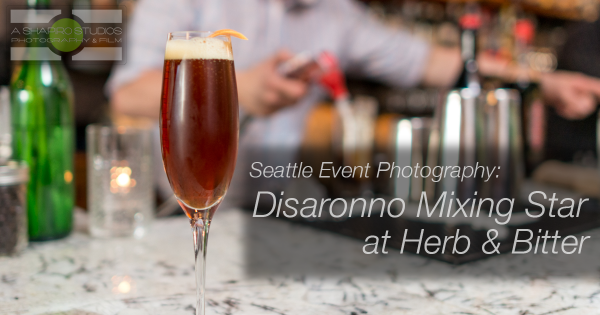 See all of the Disaronno Mixing Star Bar Night in Seattle photos here!